Spiderman supports the K&A boating community! 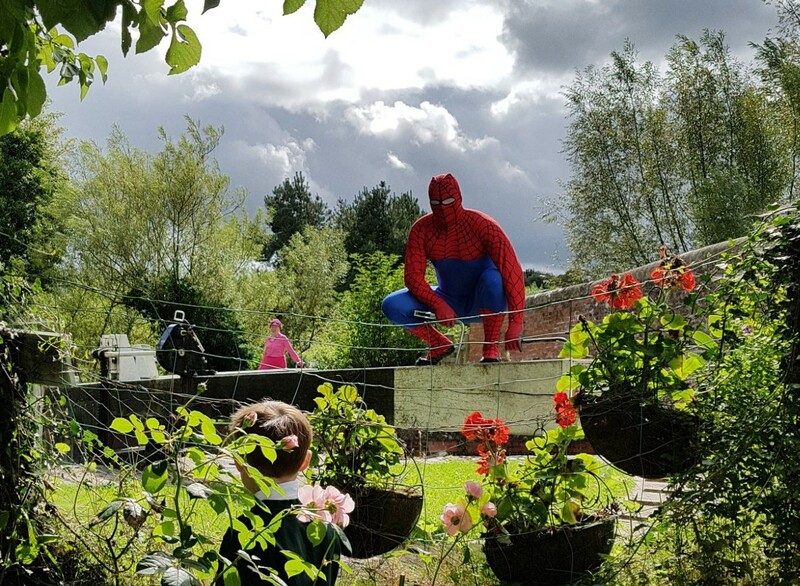 We received this message from Pete and Sully in Wootton Rivers a while ago: “It’s not every day you meet a super hero, so imagine our surprise when my grandson came running in telling us Spiderman was on the lock gate at Brimslade. He is obviously on his holidays and supporting the Kennet and Avon boating community in their fight against injustice. Good on him”. BBC Radio Wiltshire Breakfast Show will feature tomorrow’s protest against CRT’s punitive and unlawful enforcement policy towards boaters without home moorings. Listen out for the live interview at 7.25am. 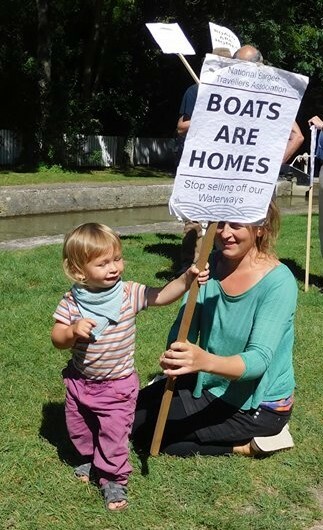 Liveaboard boaters and their supporters are invited to join a protest at Caen Hill, opposite CRT’s office in Devizes at 2.00pm on Saturday 6th August 2016 to express our opposition to CRT’s punitive and unlawful enforcement policy against boaters without home moorings. This policy has seen so many liveaboard boaters on the K&A having their licences restricted to 6 months, threatened with losing their homes, being pressured to give up their homes, and boat children’s education and welfare suffering due to the long distances they are being forced to travel to school.